Am I crazy or it is just the trending medical fad over diagnosing us all with mental disorders? On one hand, it’s truly life saving when accurate diagnosis of mental and emotional disease are made and appropriate medical intervention saves the day. Truly amazing and we are all very fortunate to live in a time when such miraculous medical care is available. On the other hand, there are many instances when a more holistic approach to restoring mental balance and emotional wellness could be a better call. The call is really up to you and your licensed healthcare professional. We are absolutely not here to get in the way of the valuable advice and treatment they may provide. We are absolutely here to help you understand other important factors at play that may help you use nutrition and comprehension of your own body chemistry to restore balance and health naturally. We are also here to help you be a more informed patient so that you better understand any medication that may be prescribed to you or your children. Knowledge is power, but there is also great power in perspective. 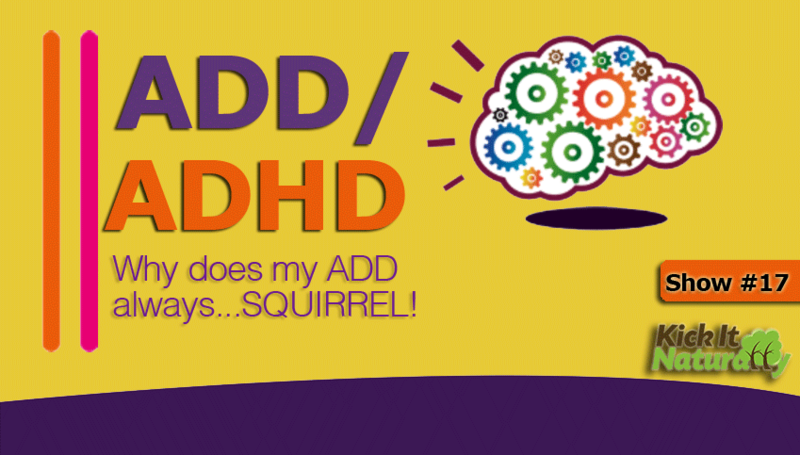 Listen in as we share a holistic perspective on ADD and ADHD. 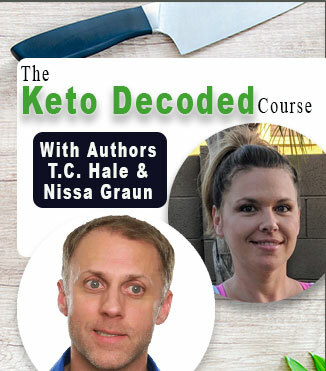 You may learn some really valuable things that can help you restore mental health and emotional stability through nutrition and supplementation strategies that restore balance to your body chemistry. How blood sugar, blood pressure, electrolyte levels and metabolism play huge roles in relation to our mental and emotional health. Correcting metabolic imbalances through appropriate nutrition and supplementation can quickly, holistically and effectively relieve even intense mental & emotional imbalances. The work of Dr. George Watson and the discoveries he made regarding mental/emotional disease as a result of metabolic imbalances. Dr. Watson discovered that imbalances in the rate at which our bodies process fuel from food can cause mental and emotional dis-ease. Dr. Watson also classified a few primary metabolic imbalances that showed to be largely responsible for mental/emotional distress. We refer to the primary groups Dr. Watson distinguished as slow oxidizers, fast oxidizers and sub oxidizers in relation to the speed at which those individuals metabolism glucose. Those sub groups respond differently to different nutrients. Through years of research Dr. Watson discovered that the particular nutrients that helped balance the slow oxidizers actually worsened the condition of the fast oxidizers, and vice versa. This is an excellent example of bio-individuality, which in essence the understanding that the biological differences between individuals creates variance in what will work from one person to the next. 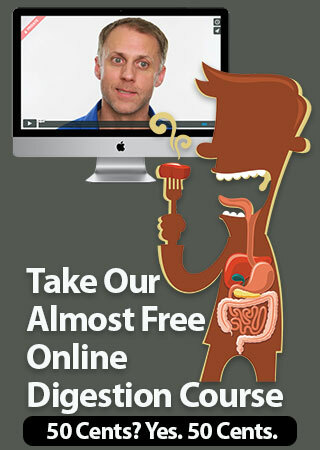 Digestive issues and poor nutrient assimilation can also contribute to mental and emotional imbalances. Primary body chemistry imbalances that we often see when individuals are in mental and emotional dis-ease states include electrolyte imbalances (excesses/deficiencies), catabolic/anabolic imbalances, slow/fast oxidizer imbalances, autonomic nervous system imbalances and pH imbalances. In our Digestive Issues Course we teach how to assess, detect and correct these various body chemistry imbalances, as well as how to troubleshoot digestive issues, all of which may be contributing to mental and emotional dis-ease. Kinna: Well, that was the game that he got kicked off that, nearly kicked off that plane because he wouldn’t stop playing it. Tony: Wait, I think we’ve started. Kinna: Oh, hello! Welcome to Kick It Naturally. I’m Kinna McInroe and I’m here with T.C. Hale. Natural Health expert, producer and he’s quite a poet as well. If you didn’t know that. Tony: I’m a poet and I didn’t realize it? Kinna: Yeah. Just ask him to write you some poetry. He likes to do that on the side. Tony: Wow, I just got real sensitive on this show. That’s fun. Kinna: I know. But he’s very vulnerable. Tony: I’m crying right now. Kinna: Uh huh. And we also have cutie patootie, Will Schmidt, who I’m sure writes poetry too. Will: Well, you know if you call like booty text poetry then maybe. Kinna: Whoa, oh, here we go. It’s gonna be one of those bleeped out shows. No, actually today is a really important show. We’re gonna be talking about ADD and ADHD. But I love unicorns. Unicorns are fun and with rainbows. Tony: They are good times. I wanna learn more about lawn maintenance. Kinna: Lawn maintenance is very important too. Will: I know everything I need to know. Tony& Kinna: Oh, good. Alright good. Kinna: We walked in this room to do something and I can’t remember what it was? Tony: I like German Shepherds. Kinna: Oh, German Shepherds are fun. Tony: They’re good. They’re fuzzy. Tony: Um, oh, ADD. ADD that’s what it is. Kinna: Oh, yeah ADD. Okay, see what we did there? That was smart. 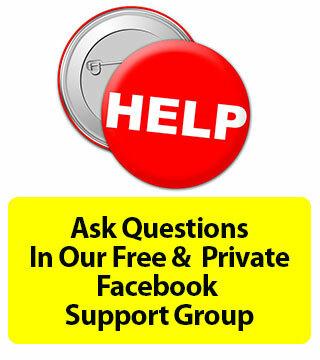 So if you haven’t liked us on Facebook or joined the group you need to do that now. So what ever you’re doing drop it, pull over, you know put that kid down. Whatever is going on and go ahead and like us at kickitinthenuts and we’re gonna post topics there that we’ll be doing on future shows and you guys can post any questions you want us to cover in the show and we might do it.